The Supreme Court of India on Tuesday observed that the right to practice law is a Fundamental Right for LL.B. degree holders and the introduction of an examination to acquire a license has the effect of negating this right. “The right to practice law is there in the Act (the Advocates Act). When (Bar Council of India) says that a person will not be able to practice law without clearing the exam, then you are taking away the same right,” the bench comprising Chief Justice T.S. Thakur and Justice U.U. Lalit was quoted as saying. “To say that one has to pass an examination for practicing as an advocate will negate his or her right to profession. He has a fundamental right to practice. Conditions can't be put after enrolment. If, at all, it is required, the condition should be put at the enrolment stage,” the bench further stated. The Court was informed that the All India Bar Examination was introduced on the basis of the suggestions of a committee set up by it. The Court however pointed out that the committee had in fact recommended amendments in the Advocates Act for bringing in such changes. Urging the Law Commission of India reports on the matter to be brought before it, the Court posted the hearing for March 2. All India Bar Examination is conducted every year to test a law graduate’s potential to practice the profession of law. Law graduates are required to clear the examination within two years of their enrolment in order to practice law. The Court was hearing a petition filed by R. Nagabushana, challenging BCI’s power to conduct the examination. It demands quashing of BCI’s notification, contending that it takes away the statutory right bestowed upon an eligible person to practice law. 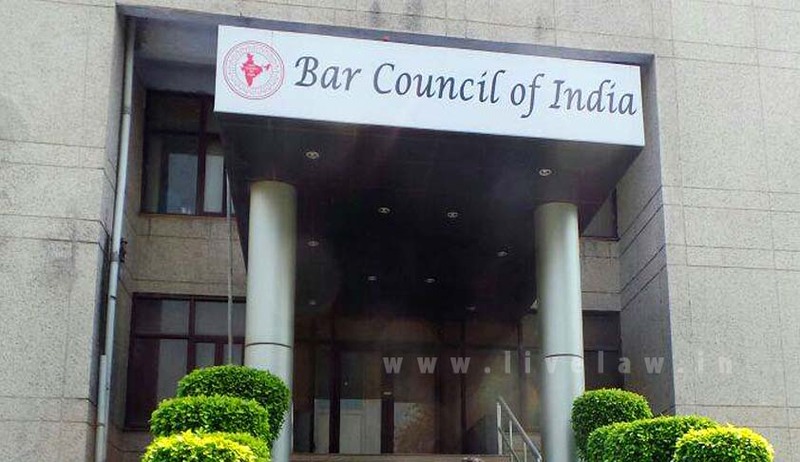 The Supreme Court in the case of Bar Council of India v. Bonnie FOI Law College and Ors had delved into the issue relating to general legal education reform to improve standards. In December, 2009, Mr. Gopal Subramanium appeared before the Court for the Bar Council of India, in his capacity as the Solicitor General. He had proposed the holding of an all India bar exam as part of a three-member Committee report on improving legal education, which was submitted to the apex court. However, the legality of the exam has not been tested by the Courts till now. The notification bringing the All India Bar Examination into force was subsequently passed by the Legal Education Committee and the members of the Bar Council of India at duly constituted meetings on April 10, 2010 and April 30, 2010. The resolution had acknowledged BCI’s power to law down conditions subject to which an advocate shall have the right to practice. “These Rules, therefore, lay down such condition of an All India Bar Examination, the passing of which would entitle the advocate to a Certificate of Practice which would permit him/her to practice under Chapter IV of the Advocates Act, 1961,” it stated. AIBE has since been made mandatory to practice law in India. The examination is conducted in 40 cities all across the country, with candidates having 11 languages to choose from. The examination is conducted in the open book format, with questions in multiple choice pattern. It is conducted twice every year, with the syllabi being published at least three months prior to the scheduled date of the examination. An unsuccessful advocate is allowed to appear again, without any limit on the number of appearances. Mr. Shamnad Basheer, founder of SpicyIP had commented on this development soon after issuing of the notification, relying on the decision in the case of V. Sudeer v. Bar Council of India, which he stated does not permit a bar exam by the BCI without an amendment to the Advocates Act. In the case, the Court had categorically held that any additional eligibility criteria for the practice of law over and above what was mentioned in Section 24 of the Advocates Act was unconstitutional. Petitions challenging the examination have been filed before the Madras High Court and the Gujarat High Court as well. Chennai Advocate M. Radhakrishnan had filed a PIL before the Madras High Court, claiming that under Chapter IV of the Advocates Act, BCI could not prescribe additional prerequisites to enrolment and practice. He had contended that BCI was violating Article 14 of the Constitution of India, which guarantees equality before law. Another petition, filed by social activist and retired mechanical engineer Babubhai Vaghela had raised similar grounds before the Gujarat High Court, contending that BCI being a regulator did not have the power to amend the Advocates Act, which currently does not provide for such an examination.